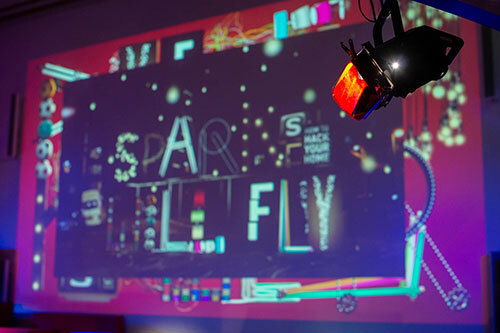 During last year's distinguished annual event, schoolchildren were treated to a robot orchestra performance and a taste of the electric lollipop developed by City's Professor Adrian Cheok. 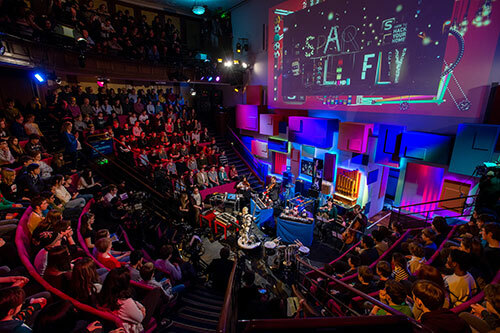 City's Department of Computer Science played a prominent role in the 2014 Royal Institution (RI) Christmas Lectures, which were presented by Professor Danielle George, with the theme, 'Sparks Will Fly'. The lectures were broadcast on BBC Four at 8pm on December 29th, 30th and 31st. The RI Christmas Lecture Series, regarded as an annual highlight for a science event addressed to young people, is a series of talks on a single topic. The lectures have been held at London's Royal Institution each year since 1825, except for the period 1939-1942 due to the Second World War. Michael Faraday initiated the first RI Christmas Lecture Series in 1825 at a time when organised education for young people was scarce. Since then the lectures have followed a tradition of presenting scientific subjects to a general audience in an informative and entertaining manner. 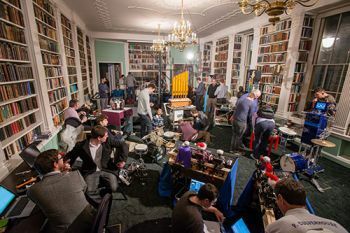 City's Music Informatics Research Group team, comprising Andrew Lambert, Dr Daniel Wolff and team leader Dr Tillman Weyde, collaborated with robotics and engineering experts from universities across the UK to present a mixed robot and human orchestra performance. 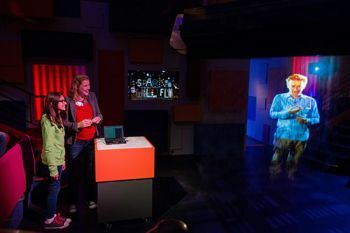 They filled the role of the conductor by providing the central robot orchestra control in an exciting musical and technological performance. This was broadcast on BBC Four on 31st December at 8pm. Here is a video of the performance on the BBC website. During this year's RI lectures, opportunities were provided for children in the audience to test out the world's first electrical lollipop and Scentee smartphone smell app developed by Professor Adrian Cheok's pervasive computing research team. This was broadcast on BBC Four on 30th December at 8pm. "I thought the electronic lollipop was really cool, it was hard to work out exactly what the flavour was with just the lollipop but when there was a smell as well that made the taste much sharper. 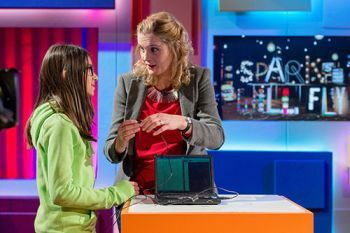 I really enjoyed the Christmas Lectures!"